One of the keys to learning another language is to be interested in it. Too many people spend two or three years studying a language in school only to find they only know how to say hello and goodbye in that language. Sure, you can write it off as being too difficult or thinking that your brain is programmed that way. Neither of those ideas is true though. 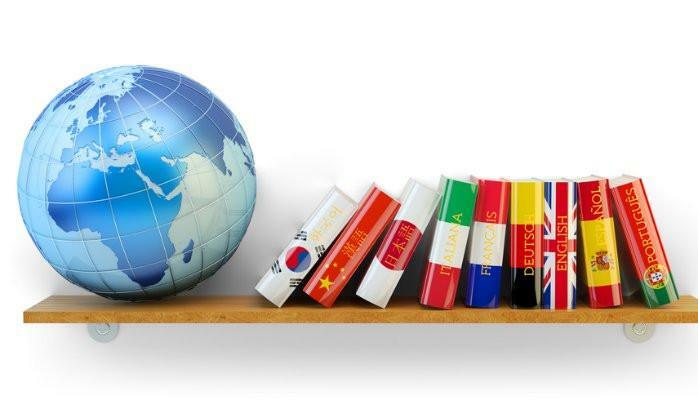 The following are five things you can do to ensure that you do learn the language this time. Situational growth is probably the most difficult. We automatically choose the easiest route, which in this case is to not have to think in another language. To really learn a language, you have to put yourself in a position where you don’t have the option to speak in English. Put yourself outside of your comfort zone and see just how quickly you start to adapt. We humans hate to be uncomfortable, and we adapt remarkably fast to get back into a comfort zone. This doesn’t mean you have to go to another country either. In fact, as an English speaker, you are going to have a hard time convincing the native speaker in another country or here to speak the language you want to learn – because they want to practice speaking English with you. If you can go abroad, look for more remote locations where there are likely to be fewer people who know enough English to try to speak it. There will still be a few, but far more often you will have to speak their language to do anything. If you can’t go abroad, you are still fine. You can set your phone and browser settings to the language you want to learn. You can watch TV programs that are in the language you want to learn (this is particularly easy if you want to learn Spanish or French – a little more difficult for other language, but not impossible). Start labeling items in your house based on what they are called in the language you want to learn. You can immerse yourself without ever leaving home. There is a difference between being fluent and being accurate. Being fluent means you can articulate how you feel, speaking smoother in real time. Being accurate means being grammatically correct, speaking haltingly and with many filters. While you want to be as accurate as possible, it is more important to start speaking fluently. Just as you learned to read and picked up speed when you were a child, you need to quickly graduate from speaking for accuracy and move to speaking with emotion and feeling in a way that is easier to relate. Language is a communication tool first. And mistakes are inevitable even in your native language. It’s perfectly fine. Learn from your mistakes and fix it next time. Yes, you will be very self-conscious speaking in a foreign language, but don’t sacrifice opportunities because you don’t think your skills are good enough. One of the best things you can do is learn colloquialism and expressions. Native speakers of the language will definitely understand you better, even if you make a few mistakes. We’ve all done it – cramming. Sure, this may work in school (if you aren’t learning something you will need later – forget doing this with math), but when learning a language, it never works. Not if you actually want to learn the language. Not cramming is particularly relevant when it comes to vocabulary. We want to start saying all kinds of stuff right off of the bat, but we lack the vocabulary. Trying to cram a lot of words in there isn’t going to help. The best way to memorize information for another language is through constant repetition. If you are learning Japanese, write the characters whenever you have down time. If you are learning French, look around you and identify things you know in French. Repetition is what helps the brain to grow and retain. Flashcards and apps are a great way to do this. There are apps that will gauge how well you’ve learned the vocabulary for the day, and will review the words that troubled you. Tomorrow, the app will bring up the same words, with the difficult ones appearing more often. This reinforces what you learned. The best thing you can do to become fluent is to find someone who speaks the language fluently and partner with them. Asking for help is a mature thing to do. And you are far more likely to learn when you speak with someone who knows the language. Remember, language is a communication tool. It requires another party to actually work. You can also find someone else learning the language. By partnering with another student, you can help each other through swapping tips and tools. Of course, you will also feel more comfortable with your less than fluent speaking ability. Nothing and no one are perfect. You will make mistakes, and that is not only ok, you should expect it. The real key is in how you deal with mistakes. If you hang your head and become increasingly less likely to talk, you have taken the wrong lesson from the experience. Instead, ask why you were wrong and what you should do to fix it. It’s not about ego – it’s about learning. Mistakes are an incredibly important part of that process. Do not try to shield yourself from learning. And don’t be defensive when someone points out a mistake. Take criticisms and critiques for what they are – a tool to help improve what you know. Yes, you can feel a bit foolish, but it’s not something to beat yourself up for doing. Learning to laugh at your mistakes is one of the best tools you can use when learning a language. Of course you sound like a kid learning to talk. That’s a good thing because kids are far more likely to ask for clarification and advice. Be like a kid. Ask what was wrong and what you should have done differently. Analyze the response and incorporate it into your lessons. If nothing else, the mistake will definitely help you remember the right way to do it.